I’ve practiced yoga for over 15 years. Initially when I was practicing, the emphasis was on stretching. With more intensive study, however, I learned more details about the poses and integrated it into my practice as well as how I teach others to enhance their practice. For example, a key question to ask is “Are you using your legs?” You should be. Strength and feeling certain muscles groups during poses is extremely important. 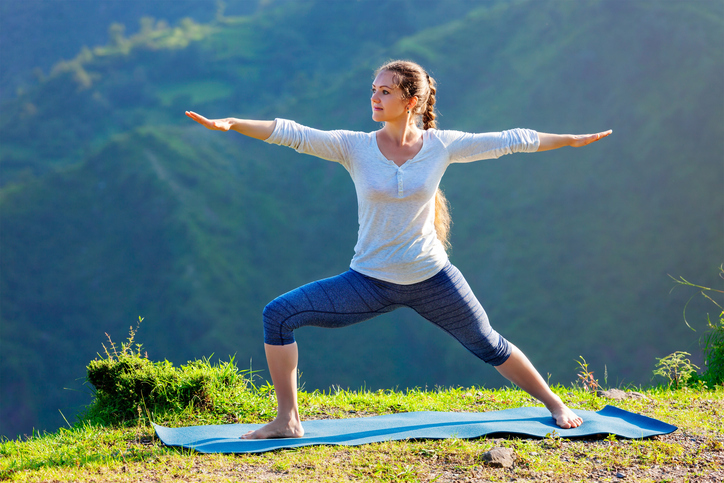 The more grounded, stable, aligned, and strong a person is in their pose, the less chance of injury. Below, I’ve profiled a few common yoga poses, proper alignment of the legs, and which leg muscles should be targeted during practice.